The Parliamentary Office of Science and Technology is Parliament’s in-house source of scientific advice. It covers a wide range of areas including health, biological sciences, physical sciences, engineering, ICT, energy, environment and the social sciences. POST is an office of both Houses of Parliament, overseen by a Board of MPs, Peers and external experts. Nominated by the Royal Society, I am one of four external members on the POST Board. Advice: POST provides advice on research evidence relating to public policy issues, especially to Parliamentary committees and libraries. Analysis: POST provides impartial summaries of academic and other rigorous research, placing findings in a policy context for parliamentary use. These often take the form of peer-reviewed POSTnotes. Building connections: POST holds events that connect parliamentarians to experts from the research community and other sectors. Horizon scanning: POST identifies trends in science, technology, society and policy, and analyses their implications for Parliament. 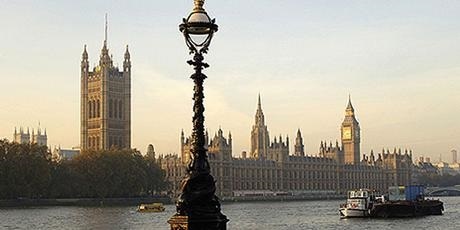 Professional development: POST works with people in Parliament who want to develop their skills in using research evidence, and with members of the research community who are keen to learn more about policy in general, and Parliament in particular. Fellowships: POST manages a Fellowship Programme for PhD students and academics. These schemes bring researchers into Parliament to support and learn about the activities of POST, parliamentary committees and libraries.